Women writers of the left made an important contribution to the radical thinking of the day but the extent of their contribution has not been fully recognised. This lecture will discuss the achievement of some of the most politically committed authors whose work shaped and made a difference to the ‘red decade’. These include Winifred Holtby, Storm Jameson, Sylvia Townsend Warner, Ellen Wilkinson, Virginia Woolf, Vera Brittain, Naomi Mitchison, and Nancy Cunard. 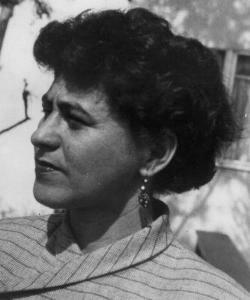 Mary Joannou is Professor of Literary History and Women’s Writing at Anglia Ruskin University. Her research interests are the women’s suffrage movement, the 1930s, and late Victorian and early twentieth-century writing. Her publications include “Ladies, Please Don’t Smash These Windows: Women’s Writing, Feminism and Social Change 1918-1938” and “Contemporary Women’s Writing: From the Golden Notebook to the Color Purple”. – Den Plirono – I won’t pay! – What’s a nice girl like you doing in a place like this? We have printed 3000 copies of Edition One – copies will be available on the March 26th demonstration. If you want to contribute to the next edition (with writing, editing or printing) send us an email on: emailthepaper@gmail.com – deadline for content is 13 April. If you want a copy of The Paper sent to you and your friends for free – then please send us your address and how many copies you’d like. There was only one Karl Marx, but there have been a multitude of Marxisms. 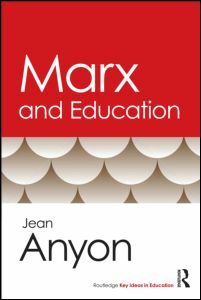 This concise, introductory book by internationally renowned scholar Jean Anyon centers on the ideas of Marx that have been used in education studies as a guide to theory, analysis, research, and practice. Marx and Education begins with a brief overview of basic Marxist ideas and terms and then traces some of the main points scholars in education have been articulating since the late 1970s. Following this trajectory, Anyon details how social class analysis has developed in research and theory, how understanding the roles of education in society is influenced by a Marxian lens, how the failures of urban school reform can be understood through the lens of political economy, and how cultural analysis has laid the foundation for critical pedagogy in US classrooms. She assesses ways neo-Marxist thought can contribute to our understanding of issues that have arisen more recently and how a Marxist analysis can be important to an adequate understanding and transformation of the future of education and the economy. By exemplifying what is relevant in Marx, and replacing that which has been outdone by historical events, Marx and Education aims to restore the utility of Marxism as a theoretical and practical tool for educators. Spring is here and things are heating up at the Brecht Forum. On April 15th we are hosting the legendary activist Grace Lee Boggs for a book party celebrating “The Next American Revolution” along with Academy award nominated actress Ruby Dee. On May 20th, the Brecht Forum, Critical Resistance and the Mission and Social Justice Ministry of The Riverside Church welcomes Angela Y. Davis for a talk “The World We Need is The World We Want” hosted by GRIT TV’s Laura Flanders. Also check out our classes in Spanish, Hubert Harrison,and a special seminar conducted by the 15th Street Manifesto Group. Check out www.brechtforum.org for updates and as always, subscribers go to most events and classes for free. Some 40 years after uprisings at Attica and her own arrest, Angela Davis comes to Riverside Church in Harlem to build bridges around issues of social equality. Introduced by: Mary-Jo Nadeau, Department of Sociology, University of Toronto (Mississauga). Background reading: “Troubling Herstory: Unsettling White Multiculturalism in Canadian Feminism”, Mary-Jo Nadeau, Canadian Woman Studies; Spring 2009; 27, 2/3. Come join the people’s assembly on immigrant rights, undocumented, temporary and precarious work and the fight for status in Toronto and beyond! Migrant Justice organizers in Toronto and across Turtle Island have fought to create workplace protections and benefits, access to services, and full status for undocumented and precarious status workers. In the face of cutbacks, privatization, and forced displacement around the globe, and anti-immigrant policies in Canada, this assembly is a space to build a community-labour vision for immigrant rights and justice, and ensure that the rights of the most vulnerable and precarious parts of the working class continue to be fore-fronted during May Day, and within all struggles for justice. Join us for a discussion of the most current housing research and ideas for improving housing in Toronto. It was a warm spring Saturday when dozens of immigrant girls and women leapt to their deaths — some with their clothes on fire, some holding hands — as horrified onlookers watched the Triangle Shirtwaist factory burn. Teachers are often the focus of anger when we ponder problems in our school system. In the first of a series, Rick Salutin says the best fix may be the easiest: leave teachers alone. Back in 1995 Finance Minister Paul Martin introduced a budget that reshaped fiscal federalism and retrenched the scope of the welfare state in Canada. It envisioned a dramatically smaller role for the federal government, a role that was permanently in question through the process of ongoing program review. It was Paul Martin’s permanent revolution, for the federal public service. Today’s federal budget, the sixth tabled by Finance Minister Jim Flaherty, brings back the revolution. Koch Industries, a powerful American energy conglomerate which helped found the Tea Party movement, has now registered to lobby the Alberta government. Records show the company hired Global Public Affairs, one of the most influential lobby firms in Canada, to represent its interests. There was a time when such a lip-smacking declaration of personal gluttony would have been dismissed as boorish and anti-social. The income gap between the rich and the rest of us grew, in good times and in bad. Learn more about it with this video. It’s Open Season at Briarpatch! 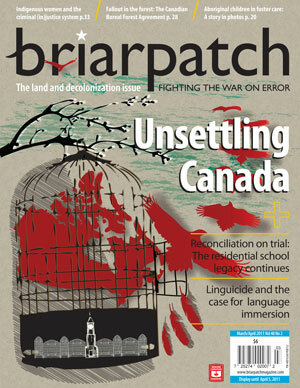 Briarpatch is seeking submissions on any topic for our July/August 2011 issue. We are looking for feature articles, provocative essays, investigative reportage, interviews, profiles, reviews, poetry, humour, artwork and photography rooted in an anti-colonial and anti-capitalist analysis. If you’ve got a story in mind, we want to hear from you! Queries are due March 7, 2011. If your query is accepted, first drafts will be due by April 11. Your query should outline what ground your contribution will cover, give an estimated word count, and indicate your relevant experience or background in writing about the issue. If you haven’t written for Briarpatch before, please provide a brief writing sample. This is great! A tremendous rap from MC NxtGen. 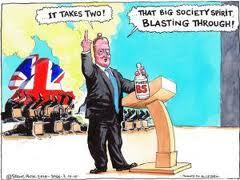 It gets the message across really well: Save the National Health Service! Since the completion of the GATT Uruguay Round and the establishment of the WTO in the mid-1990s, the international free trade agenda has been drastically expanded including now also issues related to intellectual property rights, trade in services and trade-related investment measures. The WTO Doha negotiations round launched in 2001 had been intended to complete ‘unfinished business’ especially in the area of free trade in services, public procurement and agriculture. 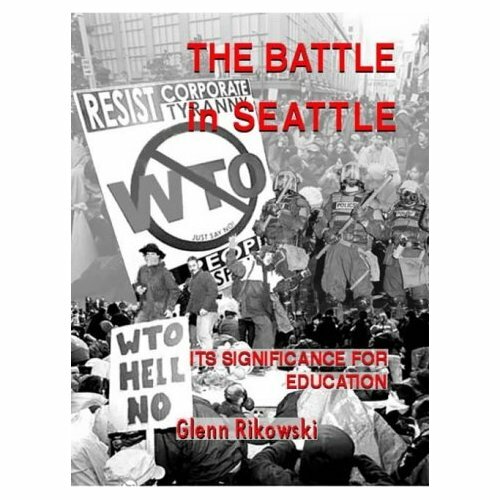 At the same time, resistance to these developments has increased with the demonstrations at the WTO ministerial conference in Seattle in 1999 as a first landmark event. The latest attempt to revive the Doha round in July 2008 ended in failure. In view of the problems at the multilateral level, both the EU and the USA have increasingly engaged in bilateral strategies of free trade agreements. These strategies include the expanded trade agenda and are a tool to achieve what has been impossible within a multilateral setting. Free trade strategies have increasingly become a problem for the international labour movement. 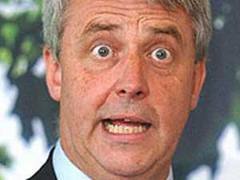 On the one hand, trade unions in the North especially in manufacturing have supported free trade agreements. They hope that new export markets for products in their sectors will preserve jobs. On the other, trade unions in the Global South as well as social movements more generally oppose these free trade agreements, since they often imply deindustrialisation and the related loss of jobs for them. Unsurprisingly, transnational solidarity is difficult if not impossible to achieve as a result. At the same time, however, it has to be asked what free trade actually is and whether we can call the existing system really a free trade system? How trade unions understand both these questions is fundamental for their chances to understand each other. Understandings of free trade, which draw on alternative economic theories – see, for example, Samir Amin’s theory of unequal exchange and imperialism – may open up new avenues. Additionally, a focus is required on countries’ different position in the global economy, core, semiperiphery, periphery, the related dynamics of uneven and combined development structuring it, as well as the related implications for labour movements in view of free trade. Equally, a sector specific view is required, as particular sectoral dynamics are likely to have an influence on trade unions’ outlook on free trade. In this workshop, we intend to focus on the problematic around free trade, the current free trade system and the related neo-liberal ideology, as well as analyse the problems for trade unions and social movements in more detail. The objective is to understand better the dynamics underlying free trade as well as explore possibilities for transnational solidarity against the background of uneven and combined development. This will also involve a discussion of alternative conceptualisations of free trade based on different economic theories and the related implications for labour movements. The workshop intends to reach beyond academia and facilitate discussions between academics and trade union researchers as well as social movement activists. • Analyses of current free trade policies, the implications of neo-liberalism as well as the concrete results of free trade policies for the populations affected. Can we call the current system a free trade system? Paper proposals of ca. 250 words should be sent to Andreas.Bieler@nottingham.ac.uk by 9 May 2011. There is no registration fee for the workshop and all participants will be provided with coffee/tea breaks, two lunches and one evening dinner free of charge. The workshop is supported with a small research grant of £6960 by the British Academy (SG102043) as well as a grant of £1750 by the University of Nottingham priority group Integrating Global Society. The Center for Study of Working Class Life is pleased to announce the How Class Works – 2012Conference, to be held at the State University of New York at Stony Brook, June 7-9, 2012. Proposals for papers, presentations, and sessions are welcome until December 12, 2011 according to the guidelines below. * The mosaic of class, race, and gender. To explore how class shapes racial, gender, and ethnic experience and how different racial, gender, and ethnic experiences within various classes shape the meaning of class. * Class, power, and social structure. To explore the social content of working, middle, and capitalist classes in terms of various aspects of power; to explore ways in which class and structures of power interact, at the workplace and in the broader society. * Class and community. To explore ways in which class operates outside the workplace in the communities where people of various classes live. * Class in a global economy. To explore how class identity and class dynamics are influenced by globalization, including experience of cross-border organizing, capitalist class dynamics, international labor standards. * Middle class? 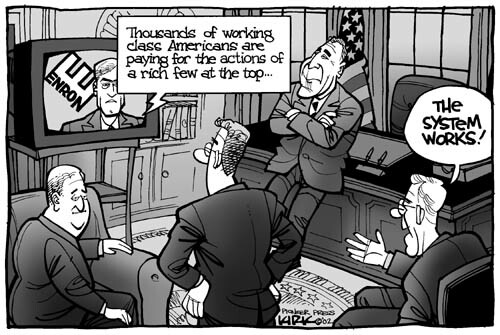 Working class? What’s the difference and why does it matter? To explore the claim that the U.S. is a middle class society and contrast it with the notion that the working class is the majority; to explore the relationships between the middle class and the working class, and between the middle class and the capitalist class. * Class, public policy, and electoral politics. To explore how class affects public policy, with special attention to health care, the criminal justice system, labor law, poverty, tax and other economic policy, housing, and education; to explore the place of electoral politics in the arrangement of class forces on policy matters. * Class and culture: To explore ways in which culture transmits and transforms class dynamics. * Pedagogy of class. To explore techniques and materials useful for teaching about class, at K-12 levels, in college and university courses, and in labor studies and adult education courses. Proposals for presentations must include the following information: a) title; b) which of the eight conference themes will be addressed; c) a maximum 250 word summary of the main points, methodology, and slice of experience that will be summed up; d) relevant personal information indicating institutional affiliation (if any) and what training or experience the presenter brings to the proposal; e) presenter’s name, address, telephone, fax, and e-mail address. A person may present in at most two conference sessions. To allow time for discussion, sessions will be limited to three twenty-minute or four fifteen-minute principal presentations. Sessions will not include official discussants. Proposals for poster sessions are welcome. Presentations may be assigned to a poster session. Proposals for sessions are welcome. A single session proposal must include proposal information for all presentations expected to be part of it, as detailed above, with some indication of willingness to participate from each proposed session member. Submit proposals as an e-mail attachment to michael.zweig@stonybrook.edu or as hard copy by mail to the How Class Works – 2012 Conference, Center for Study of Working Class Life, Department of Economics, SUNY, Stony Brook, NY 11794-4384. In response to a number of requests, we are extending the deadline for submissions of Abstracts. The closing date for submissions is Wednesday 13th April 2011. Notification of abstract acceptance is due by 6th May 2011. Thank you to those of you who have already submitted abstracts. AISHE-C 2011, the seventh international conference of the All Ireland Society for Higher Education, will take place in Dublin City University on 25th & 26th August 2011. 25th February 2011: Registration Opens. 25-26th August 2011: AISHE Conference dates. If you require overnight accommodation for the conference, please see the list of accommodation near DCU. The European Studies Postgraduate Research Group at King’s College London is pleased to announce a call for papers for their forthcoming research seminar, Developments in Contemporary Citizenship. The institution of citizenship is undergoing a period of intense scrutiny in academia and political practice. 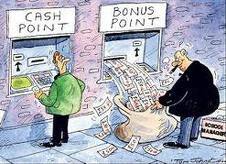 The widening and deepening of the European Union, the social inclusion of migrant populations and the economic inequalities emphasised by the repercussions of the financial crisis are just a few examples of processes which today urge a renewed assessment of citizenship as a normative ideal and a political project. The seminar is free and open to all. We hope to engage a range of speakers from interdisciplinary backgrounds in debate over theoretical conceptualizations of citizenship (Panel One) as well as case studies of the forms of and provisions for modes of citizenship in dynamically changing societies (Panel Two). The discussions will be chaired by Dr Stathis Kouvelakis and Dr Nagore Calvo of King’s College London. – Inclusion and exclusion on the local level: citizenship ‘from below’? We aim to create a space for open discussion and critical development of original work. Papers should be of around 15 minutes’ duration, followed by discussion from the audience. Academics, researchers and postgraduate students are encouraged to send abstracts of no more than 250 words proposing articles, working papers, discussion pieces on theoretical debates or empirical case studies that can offer a new perspective to the debate. Abstracts should be sent to Simon McMahon at simon.mcmahon@kcl.ac.uk by Monday 2nd May at the latest. Speakers will be contacted during the following week.